I’m totally loving everything about this flamingo themed summer bash from the awesome team of Sugar and Charm. I can’t stand how beautiful this wedding tent has become after dressed in fresh greenery. I’m in love with this girl’s picnic spread, how lovely! Wishing I lived closer to my best friend so we could have these by the lake. I’m really into braids lately, and looking for inspiration for the perfect one to wear for my cousin’s wedding. I’ve pinned so many photos, that I may need to share a post just on all the different lovely hair inspiration I’ve found, including Blake Lively’s do. After snacking on homemade tortilla chips from my soon-to-be cousin’s bridal shower, I’ve been craving fresh Mexican food, especially grilled seafood tacos. I think I’ve found the inspiration to my dream office! 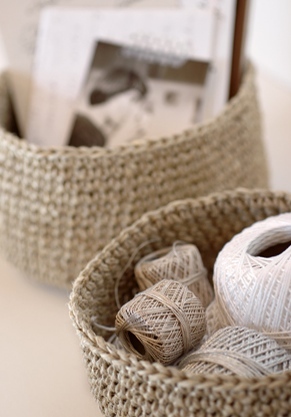 Because one can never have enough baskets to neatly and nicely corral items, but even better when you can crochet your own baskets whenever you want!